Celebrate the official groundbreaking of Evelyn’s Park in Bellaire at a special all-ages celebration on Thursday evening, June 18, 2015 from 6pm to 9pm. After years of planning, the five-acre Evelyn’s Park is about to be transformed into a grand destination park in the heart of Bellaire. To celebrate the groundbreaking, Evelyn’s Park Conservancy is hosting a party complete with music, a fence picket art project, five food trucks, kids activities and more. Everyone is invited to grab a paint brush and join in painting the park’s temporary fence picket art installation project. 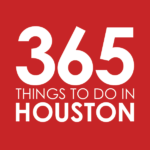 Several of Houston’s favorite food trucks will be on hand, including Bernie’s Burger Bus, Koagie Hots, Kona’s Sno Cones, Cousin’s Maine Lobster Truck and Smoosh. When the historic Teas Nursery closed in December 2009, The Jerry and Maury Rubenstein Foundation seized the opportunity to save a piece of Bellaire and Houston history by acquiring the 5-acre site with the vision of maintaining a green space in the heart of the city. The land was donated to the City of Bellaire on the condition that it would be developed as a park; a beautiful, safe and quiet respite for it’s surrounding communities. Phase One of Evelyn’s Park will feature the Live Oak Entry Plaza, a great lawn, event space, event lawn and catering kitchen, several gardens, walking trails, a café and more. Time: 6pm to 9pm; groundbreaking ceremony at 7:15pm. Parking: Free parking is available at the Bellaire United Methodist Church, across the street.